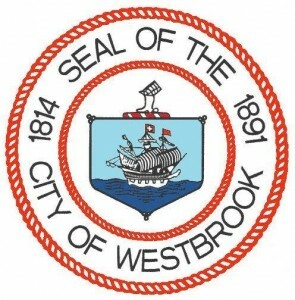 The City of Westbrook completed its updated Comprehensive Plan in 2012. In the Plan’s Vision statement it identifies that “Through voluntary public-private partnerships additional passive and active opportunities are provided that are attractive to all ages. [Including] Existing public facilities such as, but not limited to, the Community Center…” And it identifies its underlying considerations to include “ Westbrook’s population is punctuated by a relatively high percentage of elderly citizens compared to other communities. Many are long-time residents who intend to stay in Westbrook the remainder of their lives. This has been an historic trend, but with the baby boomer generation retiring this age group will generate a greater need for city services…and elderly support services.” It further identifies the “Westbrook Community Center [that] provides fitness programs, social hours, and rooms dedicated for use by seniors. The Community Center also hosts a senior club that meets twice a month. Westbrook Housing provides reduced cost home assistance services (personal care, meals, transportation, etc. )…and exercise opportunities, social activities and outings. Through a public-private partnership with Westbrook Housing and VNA Home Health & Hospice (Association in affiliation with Mercy Hospital) on-site healthier clinics are provided at least monthly… Local & Regional Housing Initiatives are identified such that “The City of Westbrook works with Westbrook Housing, Westbrook Development Corporation, the Rotary Club of Westbrook-Gorham, the Westbrook Regional Vocational Center, Habitat for Humanity, Shalom House, Avesta Housing and the Opportunity Alliance Program, to develop affordably priced housing in single-family homes, multi-family housing, and group homes.” In the area of Public Transportation it identifies its participation in the Greater Portland Transit District which serves the downtown, the densest residential neighborhoods and large employers through its bus service. [and] Bus stops are walkable distance to an even wider area.” Including of “Ride Sharing through the GO Maine network. [And] of –road connections through pedestrian and bicycle connections to neighborhoods and other activity centers , the Westbrook Riverwalk”…plus its emphasis and partnerships with the Recreation Conservation Commission, Westbrook Environmental Improvement Corporation-(formed for the purpose of retaining and protecting of natural, scenic, or open space values of real property…), Cornelia Warren Community Association, Westbrook Trail Blazes, Portland Trails (with 50 miles of trails), Mountain Division Trail, Presumpscot Regional Land Trust. This snapshot of highlights from the City’s 2012 Comprehensive Plan portrays the Existing Ethos and the continued Philosophical direction of the City’s policies substantiated by some existing activities that represent the World Health Organizations ideals of Age Friendly Communities and in particular its established commitment that is at the heart of the AARP Age-Friendly Communities initiative. The City has many programs either funded or promoted by the City or by other nonprofit organizations, volunteer civic entities, or from the business community that targets the AARP Eight Domains of Livability. The Community Plans to become more age friendly through the further coordination, marketing & promotion, accessibility, and development of existing and new initiatives by targeting the following eight areas identified in the AARP Age-Friendly Eight Domains of Livability : 1. Outdoor spaces and buildings Availability of safe and accessible recreational facilities, 2. Transportation Safe and affordable modes of private and public transit, 3. Housing Range of housing options for older residents, the ability to age in place and home-modification programs, 4. Social participation Access for older adults to leisure and cultural activities, and opportunities for social and civic engagement with both peers and younger people, 5. Respect and social inclusion Programs to promote ethnic and cultural diversity, as well as multigenerational interaction and dialogue, 6.Civic participation and employment Paid work and volunteer activities for older adults, and opportunities to engage in the creation of policies relevant to their lives, 7. Communication and information Access to technology that helps older people connect with their community, friends and family, 8. Community support and health services Access to homecare services, health clinics and programs that promote wellness and active aging. The following is a small list that provides a sample of existing programs and entities that are currently operational; which have already been engaged to be stakeholders or who will be engaged to become stakeholders corresponding to activities that the City already has underway that addressed each of the Eight: 1.Parks and Recreation, Economic Development Office, City Planner, Recreation Conservation Commission; 2. Greater Portland Transportation District (METRO), Regional Transportation Program (RTP), Independent Transportation Network (ITN); 3. City of Westbrook Comprehensive Plan identifying priority for senior housing, Construction and management of senior affordable and market rate housing by Westbrook Housing, Westbrook Development Corporation, Avesta Housing, Citizen’s Housing of Maine, Shalom, Community Aging in Place home repair program, City of Westbrook Code Enforcement outreach; 4. Westbrook Community Center which has multiple facilities including classrooms, meeting rooms, outreach offices, swimming pool, recreation facilities, gymnasiums, café, with a wide array of programing and partnerships, the Presumpscot Place Senior Center, The Walker Public Library programs, the Teen Center with programs that include senior mentoring; 5. The Walker Public Library Programs, The Cornelia Warren Community Association, The Westbrook Police Department Community Policing Program, the Southern Maine Area Agency on Aging, the Community Center’s multiple programs, The Women’s Auxiliary Club, Westbrook Adult Education, the City’s Performing Arts Center; 6. 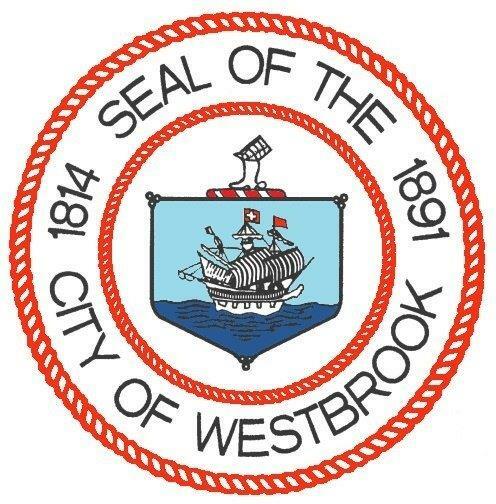 City of Westbrook Volunteer Election Worker Program, Foster Grandparents, many City Commissions and Committees plus non-profit committees, the Downtown Coalition, the Westbrook Together Days, United Way initiatives; 7. The Westbrook-Gorham TRIAD, Westbrook Community Television, The Walker Public Library IT initiatives, Westbrook and Avesta Housing free access to Wi-Fi in its elderly affordable housing complexes, Initiative to make accessible home based tele-med through collaborative with VNA and Westbrook Housing; 8. Collaborative with University of New England medical clinics to the seniors, The Community Center’s various education and outreach programs, the City’s Public Safety Department Medical Support Program, Senior Meals Program, Initiative to make accessible home based tele-med through collaborative with VNA and Westbrook Housing, VNA-Westbrook Housing collaborative providing health clinics at elderly housing communities, and a variety of Southern Maine Agency on Aging programs.